We thought Cassiar was the worst until we turned east on Yellowhead Highway to Prince George! 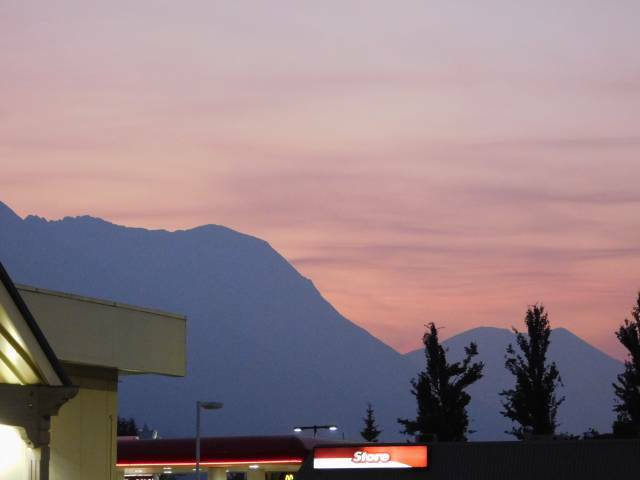 In Smithers the sky turned magenta as the sun set over the shopping center. The mountains were a beautiful back drop.